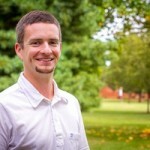 In its rookie debut, Eastern Mennonite University (EMU) was a top finisher in the Campus Conservation Nationals (CCN), landing within the top ten schools among 125 campus participants in North America that achieved the most reduction in electricity consumption over a three-week period. As a Top Ten finisher, EMU was awarded the grand prize of a one-year license to equip two buildings on campus with competition sponsor Lucid’s energy monitoring hardware and software. 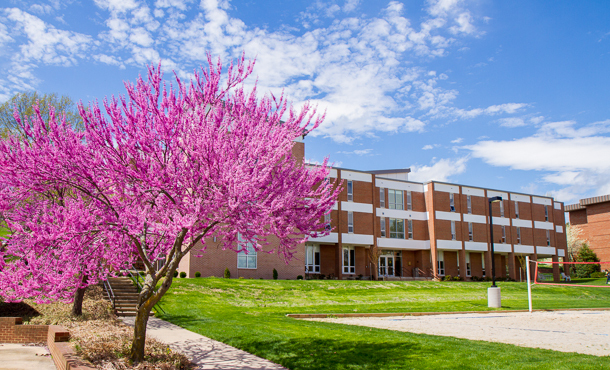 The win is “an affirmation of the Eastern Mennonite University’s long-running commitment to reducing our school’s energy use,” said campus sustainability coordinator Jonathan Lantz-Trissel. The end result of the CCN competition not only raised awareness about individual consumer habits, but resulted in a substantial savings of resources and finances. 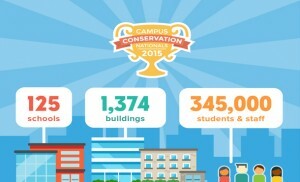 The competition monitored 1,374 buildings used by approximately 345,000 student, faculty and staff, and reported a total savings of 1.9 million kilowatt hours, 394,000 gallons of water, and $290,000. According to the CCN website, this is the equivalent of removing 182 homes from the grid for one year, saving 1.5 million one-liter bottles of water, and averting 2.4 million pounds of carbon dioxide. CCN, in its fifth year, is hosted by the Center for Green Schools at the U.S. Green Building Council, Lucid, the Alliance to Save Energy and the National Wildlife Federation. 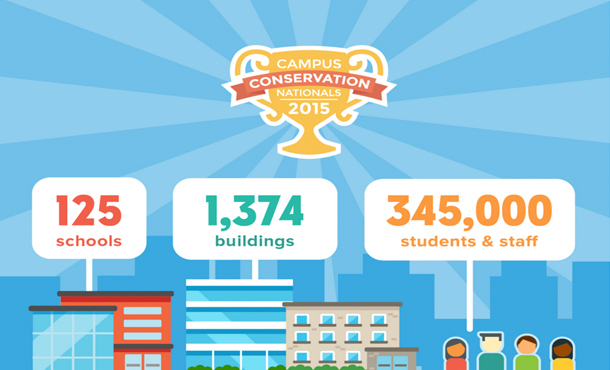 From March 8-28, ten campus buildings were monitored for energy usage. Roselawn came out on top with a 40.2 percent reduction, followed by Maplewood (39.7 percent) and Elmwood (37.3), Hartzler Library (28) and Cedarwood (23.2). That bodes well for next year, Sachs said, when he plans to implement a social media campaign to raise awareness and get more people involved. The competition also includes regional sub-competitions, such as the Big Ten Unplugged, the New York Negawatt Challenge, the California State University Conservation League, and the Campus ConseRVAtion Nationals, featuring three Richmond area schools. Sachs hopes to invite Shenandoah Valley area universities and colleges to compete next year. He’s also pondering a friendly rivalry among Mennonite colleges. The grand prize of Lucid hardware and software will complement the monitoring system already present on campus, according to Sachs. Preliminary plans will enable a more public showcase of campus sustainability efforts, with television screens projecting constant data to building users. “We were planning to place one monitor in the Suter Science Center, which gets a lot of foot traffic and would be a nice feature for that building’s users,” Sachs said, adding that he’d also like to track energy use and trends in the newly renovated building. EMU has a history of engaging its competitive spirit towards sustainability efforts: the campus recently won the state Recyclemania competition, and has placed first among small colleges in the National Bike Challenge. Last year, the university was awarded a silver ranking by the Association for the Advancement of Sustainability in Higher Education, based on its sustainability initiatives in operations, curriculum, planning and other areas.